How to Upload a single File into a folder in ASP.NET MVC5? Most of the time while developing a project you may required to make a panel that allows users to upload file on the server. There are various aspects of uploading a file on to the server like filtering the file, checking the file types and size, save information into the database etc. You will learn all these things in the different article. Here, I am just focusing only on how can you upload a file in a folder with just very simple example. Step 1: Create a New MVC Project. 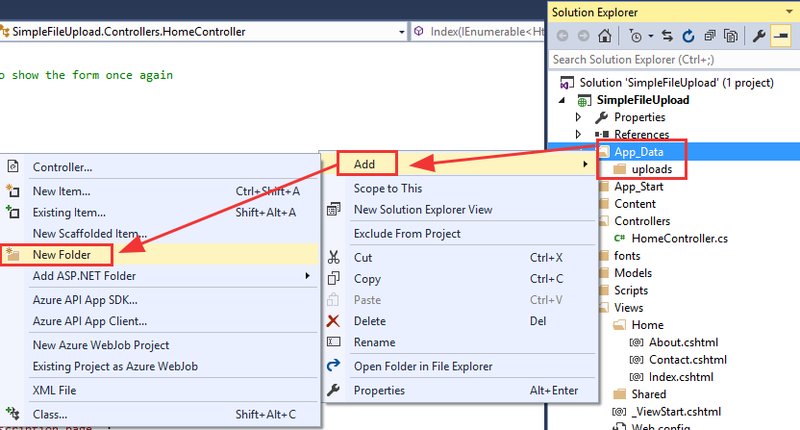 Open Visual Studio and Go to File > New > Project and select ASP.NET Web Application (.Net Framework). Step 2: Open Index.cshtml View Page. Go to Solution Explorer > Views > Home > Index.cshtml and write the following code. Step 3: Open HomeController.cs and write following code. Step 4: Create a folder uploads inside App_Data. Right click on App_Data > Add > New Folder. Step 5: Build and Run your Project. Press CTRL + SHIFT + B to build the project and then Press CTRL + F5 to run the project. 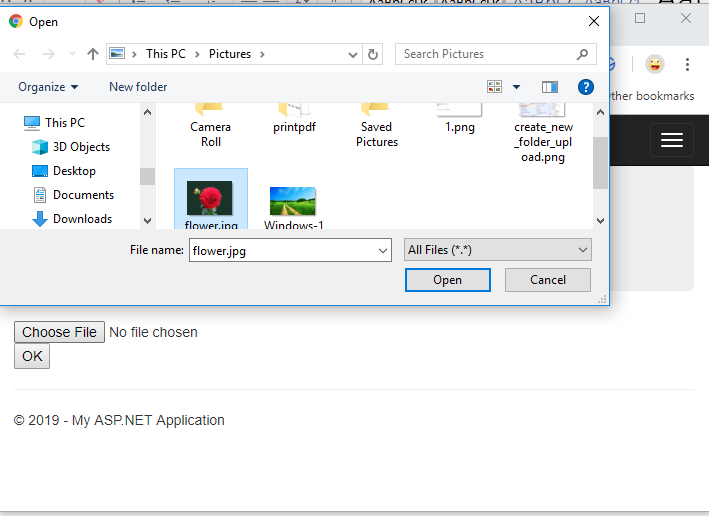 In this programming example, I have explained how can you simply upload a file in a folder using ASP.NET MVC project. This article tells you about single file uploading but in the next article, you will learn how to upload multiple files in ASP.NET MVC with simple programming example.